This eliminates the need for built-in USB charging or external chargers. Charging is via a mini USB built into the side of the battery. 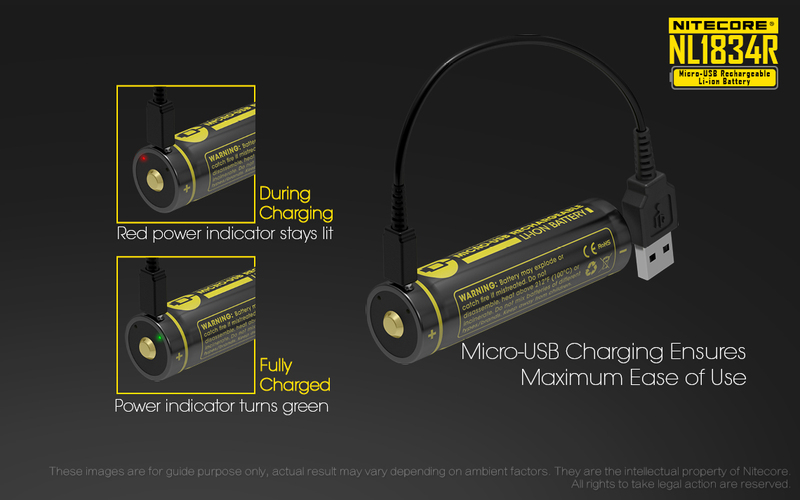 Charge from powerbank, laptop, solar panel or any other USB outlet. yip chargers are great but not when you're out tramping or hunting for a week. How long does this make the overall battery? I assume that these will be protected cells?